It's safe to say John Schnatter is a big fan of pizza. The founder of Papa John's started his company in a broom closet 32 years ago and has worked hard at promoting its product ever since. As a result, he's seen Papa John's thrive. The company had $1.64 billion in sales in 2015 and now has more than 4,900 locations in 44 countries and territories. Schnatter has also had his stock grow exponentially, with shares of Papa John's quadrupling in price over the past five years. That's helped propel Schnatter to billionaire status. Schnatter's great grandparents came over to the U.S. in 1867. His grandfather owned three successful businesses; his father started 20 companies that all ended up failing. Still, Schnatter had that entrepreneurial spirit in his blood. When he was eight, he founded a grass-cutting company with his younger brother, and at 12, he started a gutter-painting business. At age 15, Schnatter got his first taste of the pizza world. He worked as a dishwasher at a restaurant named Rocky's Sub Pub in his hometown of Jeffersonville, Ind., where he was eventually able to make his own pizzas. He instantly fell in love. While working at Rocky's, Schnatter bought a 1972 Camaro Z28 for $1,600. After graduating from Ball State University in 1983, he struggled to find work, so he took a job managing Mick's Lounge, his father's pub. According to Schnatter, it was the "dirtiest, nastiest, stinkiest beer joint in the world." Schnatter knew he wasn't cut out for the bar scene, but he did love the business aspect of things. He was able to get rid of the bar's $64,000 debt in about four months. He also sold his Camaro for $2,800 – a 75 percent profit – so he could buy beer for a week and pay his employees. In 1984, Schnatter had an idea. He demolished the broom closet at Mick's Lounge and began selling pizzas out of the back of the bar. One year later, the first Papa John's was opened in Jeffersonville. Papa John made every pizza himself that entire first year and 1986, Papa John's sold its first franchise. Just five years after that, 100 restaurants had opened up. During the summer of 1993, Schnatter took the company public. It's super easy to find on Wall Street, too, just look for the PZZA symbol. When the 100th restaurant opened, Schnatter said he barely had a few thousand dollars for a vacation. A year after Papa John's went public, the company was worth $200 million. 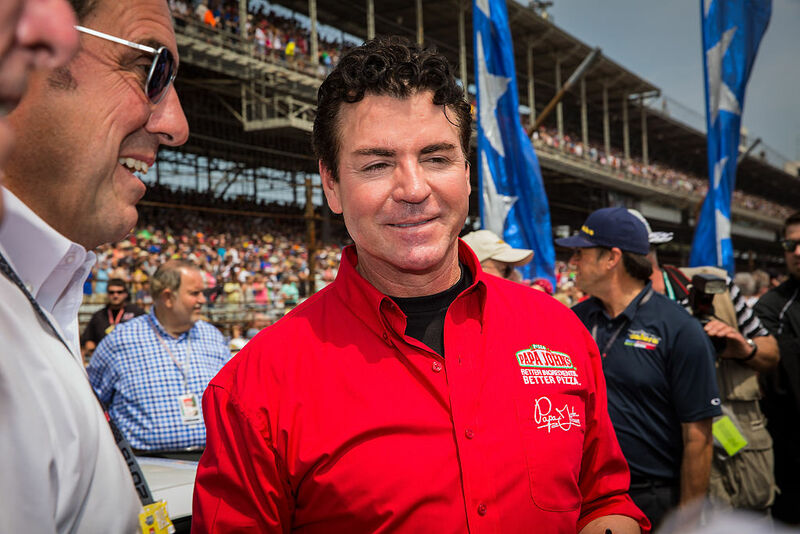 Papa John's has seen continued success largely due to its innovative ideas. For one, Schnatter has never skirted quality in order to save money on ingredients. It's even in the tagline: "Better ingredients, better pizza. Papa John's." The company was also the first pizza chain to offer national online ordering. Now in its 16th year with digital capabilities, more than half of all Papa John's orders are made either online or on an app. That dedication to quality and technology has led to a market cap of more than $3.2 billion under Schnatter's watch. The chain has also never posted a negative same-stores sales number despite a nationwide recession. That means that stores that were open during the same period of time – excluding new locations or stores that closed during a timeframe – have constantly posted increased revenues. Schnatter has also made wise decisions with his partnerships. Peyton Manning owns nearly 30 Papa John's locations, and the company has other popular athletes like J.J. Watt helping promote the product. While the endorsement deals are beneficial for the athletes, Papa John's gets increased exposure, which in turn results in increased revenue. When Manning purchased more than 20 additional Papa John's locations, the Colorado stores reported their sales increased from about $3,000 or $4,000 a day to $5,000 or $6,000 a day. 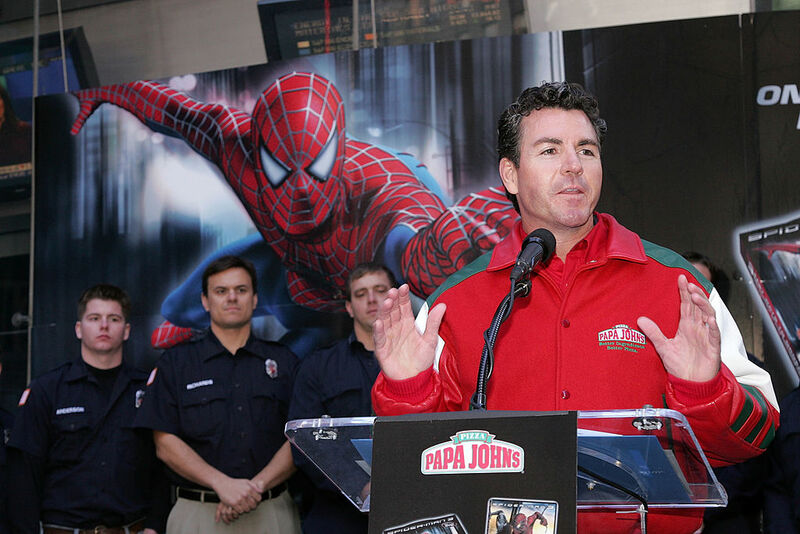 Papa John's has been involved with several Super Bowls, offering free pizzas to promote his company. He's at it again this year, partnering with Pepsi to offer a lucky fan the "Halftime of a Lifetime." The winner of the promotion gets to attend Super Bowl 51 and hang out on the sideline during the halftime show. Participants had to purchase two medium pizzas and a two-liter bottle of Pepsi on game days to be eligible, ensuring a consistent amount of business flowing through the company's stores. Another bonus is that Schnatter has mostly managed to avoid controversy as the face of his company. His biggest snafu came in 2012 when he said the Affordable Care Act would force the company to increase prices by 11 to 14 cents per pizza, which consumers would then have to pay for. He also made a comment (that he said was misinterpreted) that implied the company would decrease employee hours so they wouldn't have to pay health insurances. That had a negative effect on Papa John's shares, though they've recovered nicely. In fact, over the past year alone, Papa John's share prices has increased by 58 percent. Schnatter isn't satisfied yet, though. His goal is to make Papa John's the No. 1 pizza chain in the world. Right now, he's captured about 10 percent of the pizza market in the United States. That's still trailing Pizza Hut and Domino's, Schnatter's two biggest competitors. So don't expect to see the 55-year-old Schnatter hanging up his pizza crusts anytime soon. And as long as he's heading the company, it's likely revenues will continue to rise. Oh, and that Camaro he sold? 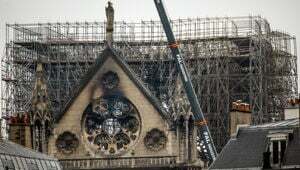 Schnatter was able to buy it back in 2009 for $250,000. That might sound like a high price to pay, but it's a reminder of how far he's come. That includes Papa John's new CEO Steve Ritchie, even though Ritchie was handpicked by Schnatter as his successor following his exit as CEO in November. Schnatter himself denies the story, but sources within Papa John's say he wants to an equity firm to help him buy it back and take the company private. "Papa John" Schnatter announced that he will be forced to raise the price of pizza because President Obama was re-elected. Without taking political sides, let's take a look at the mansion that his $600 million pizza fortune built.